The Pressure Washing Resource Association (PWRA) is going first class all the way for the first ever PWRA National Convention, August 23-24 at the Gaylord Opryland Hotel in Nashville, Tennessee. Top notch speakers. Leading industry vendors. Five-star facility. The Pressure Washing Resource Association was co-founded in May 2012 by Thad Eckhoff, owner of Apex Services, and Chris Lambrinides, owner of Window Cleaning Resource.com. The PWRA is a for-profit group that aims to provide practical and profitable business and marketing benefits that will help individual contractors increase their bottom lines. Since it first launched a year ago, the PWRA has signed on 139 members who have taken advantage of the PWRA’s proven and customizable marketing materials, discounts, and online community. The next natural step is a national convention, and it’s going to be a doozy. “The convention is open to anyone who wants to attend,” stressed Eckhoff. “PWRA members will receive a discount on admission as one of their member benefits.” Additionally, new PWRA members who pay the full membership fee of $349 after May 13, 2013, can attend the convention for free. (Click here to join.) See the “About the PWRA” section at the bottom of this article for more details. The PWRA’s purpose is to give contractors the tools they need to successfully run and grow their businesses, and the convention will definitely add to that goal by providing a vast variety of quality speakers and relevant topics. The PWRA convention will include both general sessions for all participants, plus three tracks to allow attendees to pick and choose the programs that best fit their needs. The three concurrent tracks will include a “how-to” track, a business-focused track, and a product/services-related track. April Dodson, Bid Slot Marketing, who is recognized industry-wide for her sales saavy. April will teach commercial sales tactics to add dollars to your bottom line. 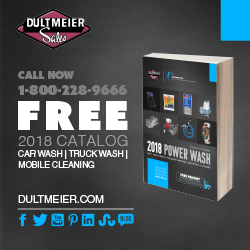 Michael Hinderliter, PowerWash.com, who is not only a leading national distributor, he also owns TWO multi-million contracting businesses. Michael will help attendees learn how to effectively run a large, profitable pressure washing operation. Perry Tait, FutureofCleaning.com, who is both an expert in water fed pole technology as well as in business development, with experience in Australia and Shanghai, China. Known for his dynamic and entertaining speaking style, you won’t want to miss this one! Russ Johnson, Southside Equipment– recognized for his immense understanding of pressure washing equipment. Kevin Mullins, IPC Eagle – learn how to tap into the solar panel cleaning market. David Phillips, Southern Stain & Seal – a leader in teaching how to generate serious profits through sealing concrete. Anya Curry, Ambidextrous Services – known for her award-winning web design and SEO services for the pressure washing industry. Anya will share how to maximize your local Internet exposure. Guy Blackman, Presure Kleen – a market leader, Guy will teach attendees his strategies for branding their businesses. John Lee, WindowCleaningResource.com – a “walking encyclopedia” of pure water cleaning, John will show you how to profit from this market. 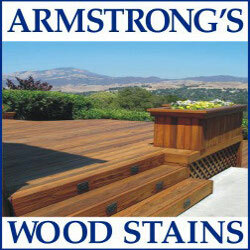 Charles Soden, Apex DeckSavers – learn how to maximize revenue in the art of wood restoration. Alex Curry, ARC Powerwashing – a second-generation power washer, Alex will teach you how to properly and efficiently set up your equipment. Michael Kreisle, First Choice Power Washing, LLC – known for running a super-streamlined and profitable business, Michael’s tips and tricks will save you thousands a year. Thad Eckhoff, PWRA – specializing in residential cleaning, Thad will show you how to dominate your local homeowner market through an all-out strategic sales assault. Michael Mole, Mole Services – co-author of “10 Steps to Direct Mail Success,” Michael will teach you the different types of direct mail and how to develop an effective direct mail campaign. Trey Posey, PowerWash.com – with a Masters in Business Administration and a proven track record for business building, Trey will show you how to follow the track to pressure washing success. Micah Kommers, Ecoclean – Learn the art and science of softwashing from a master. Micah has been researching and perfecting proper cleaning methods since the age of 15. Josh Dodson, GreasePro – Founder of the Grease Police and UniServe, this “Greaser Extraordinaire” will teach the secrets of kitchen exhaust cleaning. Jeremy Kiefer, Clearshine Maintenance– an expert in pressure washing and technology, Jeremy will teach you how to use recent technological advances to grow your business’ bottom line. Michael Tessaro, Centex Pressure Washing – An expert in both cleaning and running a successful, sustainable, profitable business, Michael will share many of his smart business practices. Steve Button, CleanFast USA – Steve will share his expertise in commercial concrete cleaning. The cost to attend the convention itself is $199. PWRA members can attend for half-price as one of their many membership benefits. This price allows access to all convention sessions and activities, including the trade show. Additionally, if you join the PWRA for full price ($349 for the first year, $199 to renew) after May 13, 2013, you can attend the convention for free. 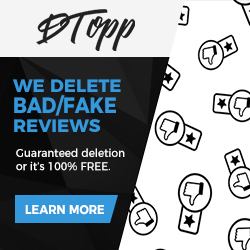 (Click here to join). The room rate for PWRA Convention attendees is just $139 a night, which is $60 off the corporate rate. Referred to as “a vacation in itself,” the Gaylord Opryland Hotel is recognized worldwide for its nine acres of lush indoor gardens, waterfalls, fine and casual restaurants, unique shopping experiences, an on-site nightclub and a 20,000-square-foot resort spa and fitness center. 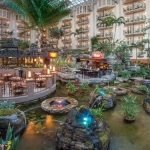 In the heart of Nashville, the Gaylord Opryland Hotel is a great place for families as well. Finally, if you want to join PWRA but cannot attend the convention, you can still save $50 off the joining fee through eClean Magazine by clicking here. (Note that if you use this discount, you will not be eligible for the free attendance fee). To learn more about the PWRA convention – including sponsorship opportunities – visit the event website at www.PWRAConvention.com.